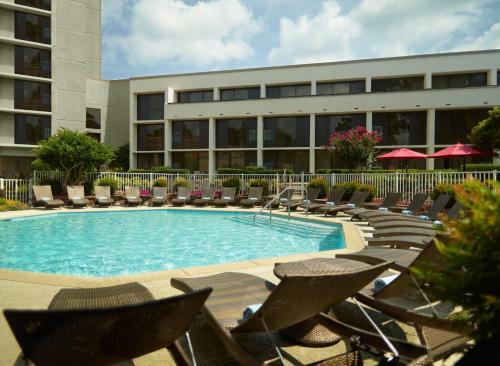 An indoor/outdoor pool on-site lounge and easy access to both I-75 and the Galleria Mall are the prime perks guests find at the non-smoking Atlanta Marriott Northwest. 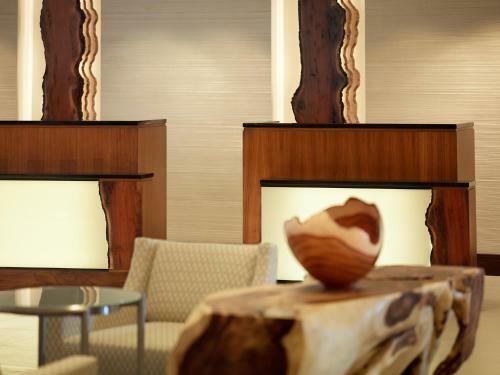 The non-smoking 16-story Marriott greets guests with fashionable public spaces and modern fresh decor. 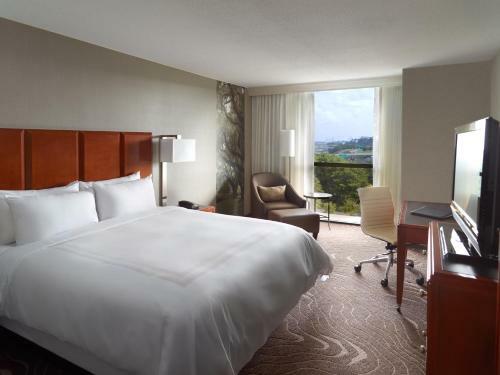 All 400 rooms have flat-panel cable HDTVs coffeemakers and work desks with plenty of places to plug in your gadgets. In-room Wi-Fi is available for an extra charge. Weekday newspapers are on the house. As for eats there's a breakfast cafe as well as a restaurant serving lunch and dinner. The on-site lounge offers light fare and cocktails. 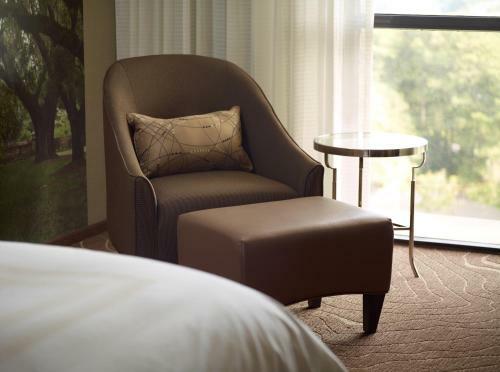 The hotel caters to corporate guests with a business center and 13 meeting rooms. The in-house laundry meanwhile ensures all visitors look their best. 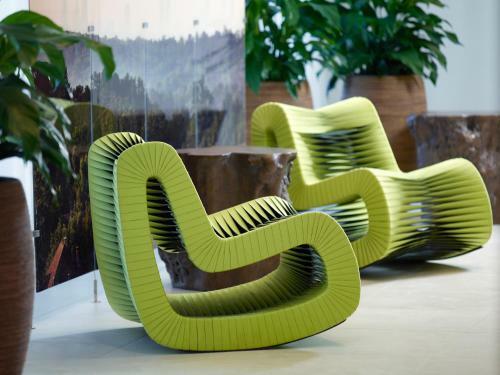 Leisure amenities include an indoor/outdoor connecting pool and on-site gym. Both self- and valet parking are available for an extra charge. The Marriott is off I-74 five minutes from the Galleria Mall's hundreds of shops and restaurants. It's also five minutes from the Cobb Galleria convention center. The Georgia Aquarium is 20 minutes away. The Atlanta Zoo is a 25-minute drive. Six Flags Over Georgia Turner Field and the Georgia Dome are all 20 minutes by car. 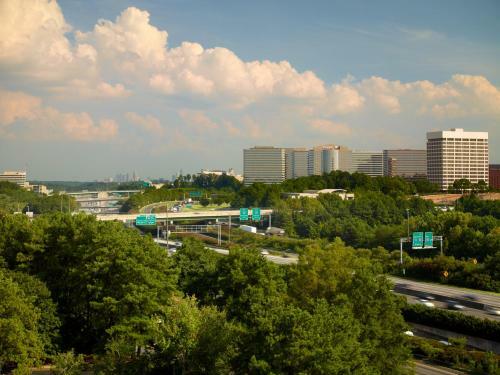 Hartsfield-Jackson Atlanta International Airport is 22 miles from the hotel. 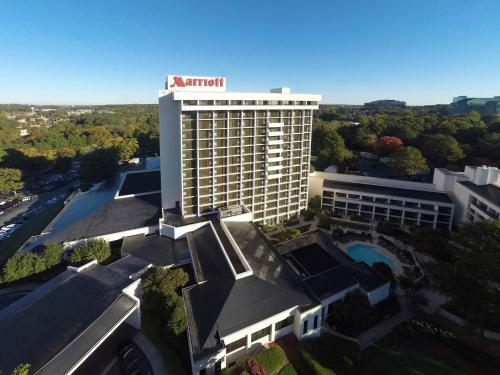 Add Atlanta Marriott Northwest At Galleria to your free online travel itinerary.